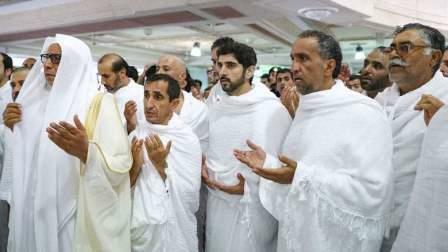 Sheikh Hamdan bin Mohammed bin Rashid Al Maktoum, Crown Prince of Dubai and Chairman of Dubai Executive Council, on Tuesday performed Umrah in Makkah. Sheikh Hamdan was accompanied by a number of 'unknown soldiers' from various government entities in Dubai. The 'unknown soldiers' were given the opportunity to perform Umrah along with Sheikh Hamdan as a token of appreciation for their hard work and commitment. Earlier on Tuesday, Sheikh Hamdan arrived in Makkah, Saudi Arabia, where he prayed to Allah Almighty to protect the UAE and all Arab and Islamic nations. The 'unknown soldiers' who accompanied Sheikh Hamdan thanked him for the opportunity to perform Umrah along with him.